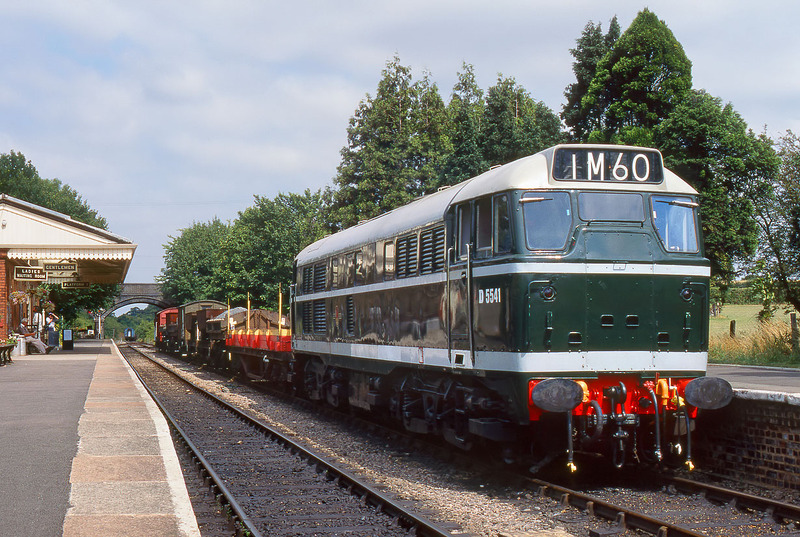 D5541 stands in Toddington station on 7 August 1995, prior to working the 13:00 demonstration freight train to Far Stanley, during the Gloucestershire Warwickshire Railway's Diesel Week. Unfortunately D5541's time as a preserved loco was cut short by a major engine failure. The loco was sold for scarp in 2005.